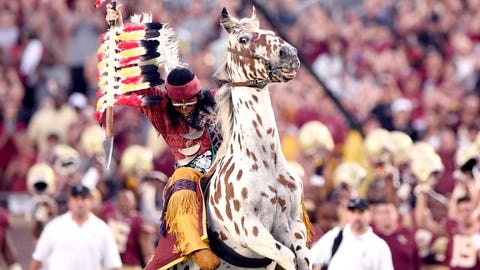 On Saturday, one FSU fan dressed up for Halloween as Osceola's horse during the Seminoles game against Syracuse. The Halloween spirit was in full force Saturday in Tallahassee during Florida State’s game against Syracuse as one fan dressed up as “Renegade,” the horse of Seminoles mascot Osceola's. Give the fan an A-plus for style and creativity.